I am pleased to confirm that Yotam Ottolenghi is adorable, right down to his black-and-white polka dot socks. He's obsessive, hard-working, thoughtful, articulate, educated, conscientious. He drinks English breakfast tea with milk, loves curry laksa, and does Pilates. He made a slightly clunky Lego cake for his son's sixth birthday. He laughs a lot, and is gentle, courteous and well-mannered. And he's the world's most famous vegetarian cookbook author, without actually being vegetarian. "He's just so natural!" 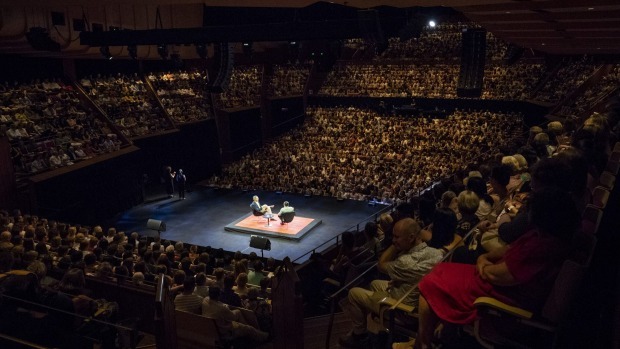 gushed one member of the 2000-plus audience at the Sydney Opera House last week, after paying $49 to listen to the Israeli/British chef in conversation with Adam Liaw at the Sydney Opera House. 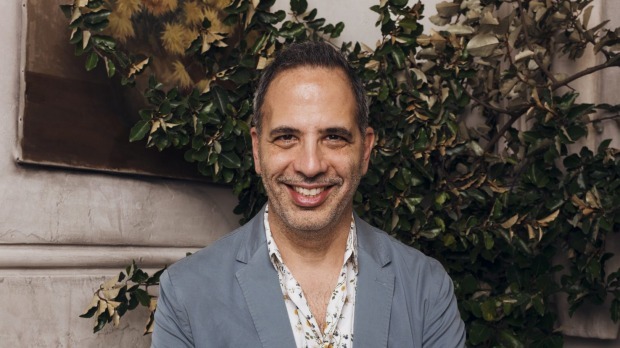 Why is Yotam Ottolenghi so, so, loved? Publishers call it "the Ottolenghi Effect" and speak of his book sales – more than 400,000 cookbooks in Australia alone – with awe. "I'm fascinated by the Ottolenghi Effect because it breaks all the rules about what should sell here," says rising star publisher Jane Morrow, of Murdoch Books. "The author isn't local, and most Australians won't get to taste his food from his London restaurants and delis. When he began, his name was unknown, he had no major media coverage here, and Middle Eastern food was not a cuisine the mainstream was familiar with. And his recipes generally require a long list of ingredients, some of which are obscure." But, she notes, "we are entering a post-celebrity chef era. We don't need a face on a cover to respect the chef behind it." 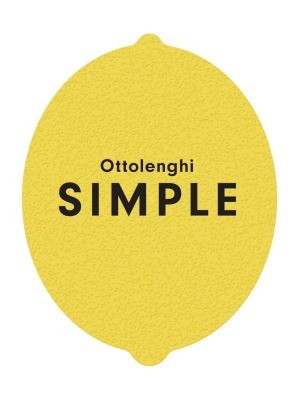 Indeed, there's a lemon on the cover of Ottolenghi's latest book, Simple, not a chef portrait. "I'd rather the lemon does the talking," says Ottolenghi, in Australia on a whirlwind book tour. "I get more credit than I deserve. My biggest strength is not how I cook, but how I get people to work in a team." 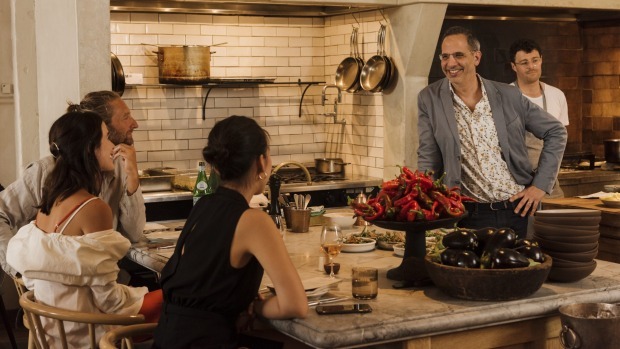 Ottolenghi's long-time friend, collaborator and co-author of Ottolenghi Sweet (published in 2017), Helen Goh, thinks the "Ottolenghi Effect" has to do with the "feel-good" state engendered by cooking his food. "You know that saying, 'People will forget what you said, people will forget what you did but people will never forget how you made them feel'?" she says, from London. "I think there is something about being given recipes that help you to create a sense of belonging, a sense of generosity and love around your own table, in your own home. There is something very powerful at work here." That's a lot of psychology to load onto a cauliflower, the humble vegetable that all six vegetable-focused Ottolenghi cookbooks have turned into a celebrity in its own right. But why do we flock to the theatre to watch one of the world's most famous chefs talk about his life and work – when he's not even cooking? According to Edwina Throsby, head of talks and ideas at the Sydney Opera House, it's because we are fascinated with learning about the lives, thoughts, feelings and motivations of well-known people. "In-conversation events like this make us feel closer and more connected with both with the famous person and with each other," she says. Throsby, who also put the cult Australian-born musician Nick Cave on the Opera House stage to talk and not to play, says our relationships with the people we look up to have changed, due in part to social media eroding the barriers between professional and personal lives. Plus, we like to think we have a lot in common with our heroes. "Hearing about their creative processes is genuinely inspirational," Throsby says. Ottolenghi laughs when I ask him. "It's weird, isn't it? How did this turn into a cultural phenomenon?" he says. "In one way, I think it's funny, because I remember when I finished my Masters in Comparative Literature in 1997 and sheepishly told my parents I wanted to go to London to be a chef, they weren't very happy. Nobody then would have imagined that a chef would be invited to one of the most prominent venues in the world to talk about their life. Obviously my parents are very happy now!" When pressed, he suggests transparency is the key. "Food is very evocative, so people want to hear about it," he says. "The days of chefs hiding their secrets are long gone. If you held anything back, you'd get busted. We are all slaves now to this transparency." Even so, he finds it "bizarre" when accorded the same sort of respect as given to a great artist or musician. "All I do is put out recipes. It's a very mundane activity." Well, not quite. 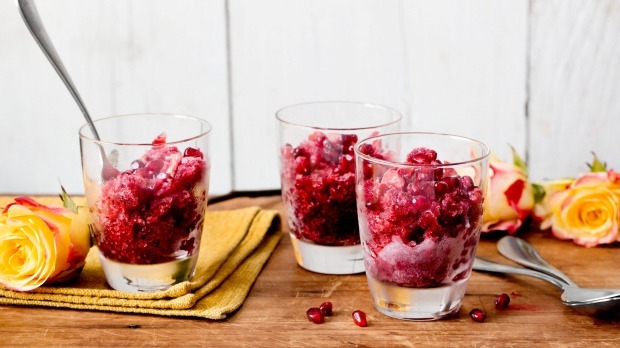 Having turned 50 last December, Yotam Ottolenghi is in a sweet spot. He runs four Ottolenghi delis, famous for their colourful displays of grain salads and huge tiered trays of cakes, and two London restaurants, NOPI and ROVI, between penning a weekly column for The Guardian and a monthly one for The New York Times. His much-loved Mediterranean Feast television show is no more, now that he and husband Karl Allen have two children, Max (6) and Flynn (3). "We are locked into the school year now, with Max, and Flynn is too young for me to disappear for an entire summer." Most notably, and profitably, he has published six best-selling (like, really best-selling) cookbooks with long-time friends and collaborators. The most recent, Ottolenghi Simple, done with Tara Wigley and Esme Howarth, was the only cookbook in the top five non-fiction sellers this summer. Sorry Jamie, sorry Nigella. 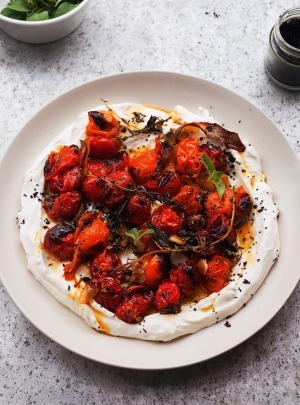 The numbers are unprecedented, with Ottolenghi Simple looking to break new Australian records as it rises to 100,000 plus. The only real criticisms heard by the industry about Ottolenghi's earlier books were that that the ingredients lists were too long, and the recipes too complicated. "So Simple was simply genius," says Jane Morrow. Each book is very much a hands-on process, with a core team of long-term collaborators. Ottolenghi recalls being shocked when a prominent author said he didn't know any of the recipes in his book because his team did them for him. "I am there every step of the way" he says, "but I would never have managed to create such a series of distinct books if I hadn't been working with people like Sami Tamimi, Rafael Scully and Helen Goh". Goh has worked with him since 2006, and Yotam is godfather to her eldest son, Sam, 8. When I say he can't possibly be that nice ( what am I fishing for? How he tortures mice in his spare time? ), she laughs. "I'm afraid he is, though he is not a pushover, and can be tough. Feedback is honest and direct, and expectations are high, but there is also tremendous warmth and sincerity." The real key to Ottolenghi's success lies back in 2002, when he opened the first Ottolenghi deli, in Notting Hill. "It was so not-London, in terms of being minimalist and white and open, with all the food on display," he recalls. "Many people said it felt like an Australian cafe." 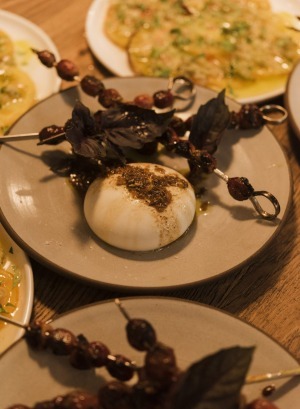 The food was "Middle Eastern and North African meets California" and the mantra "simplicity, abundance and quality". The emphasis on vegetables was sheer pragmatism. "I wanted to display our food unrefrigerated, not have it locked up in a fridge," he says. "And we couldn't have done that with anything but vegetables." The "what you see is what you get" philosophy inspired the much-copied cookbooks' style. "It's about transparency and generosity," he says. Or did he just tap in to the vegetable-first, healthy "wellness" phase the food world is going through? "To be honest, I really try to not use the word healthy when talking about food" he says. "The more you tell people what to do, the less people trust their own instincts. Because we read so much about diet and health, we forget that left to our own devices we would eat like a child, and stop when we are full." What next for the Ottolenghi juggernaut, as it rolls along on wheels of cabbage, flying an eggplant flag? You guessed it, more books. Recipe testing has started for the next book already, with publication slated for 2020. "It's going to be vegetarian," he says. "The world of vegetables has gone way beyond the ownership of vegetarians. A more fluid definition would be useful, so we can get more people eating vegetables without feeling they have to go through the whole vegetarian thing." Buying a book with Ottolenghi's name on it 10 years ago, notes Jane Morrow, felt like you were in a fabulous club of people in the know. Ten years later, it still is. It's just a very, very, big club, and one in which we're all happy to be paid-up members. "A big baked rice dish, in one baking tray, flavoured with sprigs of mint and lemon skins, with confit tomatoes and garlic (page 174, Simple) or with feta, green olives and pomegranate (page 171, Simple). "An orange wine from Georgia. I am very much a convert to natural wines. Our food has edges and roughness, it's not a uniform experience, and when that is echoed in the wine, it makes it much more interesting." "Ugly Delicious with David Chang and Samin Nosrat's Salt Fat Acid Heat, which is really beautiful, refreshing and different. Karl and I just binge-watched the entire Australian series called Please Like Me with Josh Thomas, which was funny and serious, both disconnected and so connected. We were devastated when we finished it."